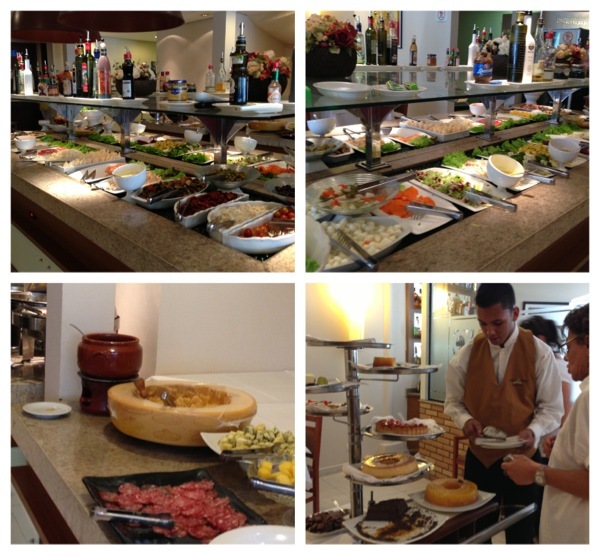 We had lunch at a local authentic Brazilian barbecue churrascaria restaurant named Ponta Verde Churrascaria. There was a buffet of local dishes that you served yourself then a man would come to the table with a huge knife and the local barbecue meat that is sliced in front of you. Jim enjoyed all the different types of meat and Pat took a few bites of the meat and said it was good too.